If anyone was in any doubt that we have a highly politicised, out-of-control police force in this country with scant regard for basic rights, the build up to the royal wedding will have provided a much-needed corrective. When it comes to our divinely ordained rulers, even the most minimal pretence at neutrality and respect for due process has been dropped and the attitudes and motivations of law enforcement laid bare. There is to be a strict zero tolerance policy towards republican thought crimes. Faced with tomorrow’s pompous medieval extravaganza, we must either wave our plastic Union Jack flags like the serfs that we are, or else keep quiet and hope we aren’t on the Met’s “political” hit-list. For weeks, senior officers have been boasting <http://www.smh.com.au/lifestyle/royal-wedding/wedding-partypoopers-warne... that anyone planning to voice dissent at tomorrow’s event will be treated as a criminal with sinister warnings that officers have been ordered to “shoot-to-kill” and the Queen’s Guard <http://www.express.co.uk/posts/view/243203/We-can-protect-William-and-Ka... empowered to impale any threat with their bayonets. With the memories of Jean Charles de Menezes and Iain Tomlinson still fresh, such warnings sound more than a little ominous. The press have gleefully collaborated <http://www.telegraph.co.uk/news/uknews/royal-wedding/8474133/Royal-weddi... with the Met in their intimidation, uncritically reporting plans for “pre-emptive” strikes against anyone suspected of being inclined to violate the “sterile areas” 1.6 kilometres around the Palace of Westminster created under the totalitarian Serious Organised Crime and Police Act introduced by Labour. In all the frenzied reporting, the words “anarchists” and “criminals” are used interchangeably to denote anyone opposed to a hereditary head of state. Ahead of the happy couple’s big day, political opinions alone are enough to get you locked up. As one “police source” chillingly put it <http://www.smh.com.au/lifestyle/royal-wedding/wedding-partypoopers-warne... “the same faces often reappear at different protests and we will try and take a pre-emptive strike against them." Now we are seeing this sinister strategy put into effect <http://www.guardian.co.uk/uk/2011/apr/28/police-raid-squats-royal-wedding> . Yesterday, several squats were raided in Brighton with arrests made and in the early hours of this morning five squats across London were targeted. Two of the London squats are private residences in Camberwell which want to remain anonymous, whilst the third, Ratstar, also in Camberwell, is being used as a social centre and artistic space in agreement with the landlord. The raid against Ratstar was carried out under a Section 18 warrant to search for stolen goods, yet the TSG officers at the scene appear to have found no evidence of theft since the 14 arrests made were for the absurd crime of “electricity abstraction”. Twelve hours later, dozens of them were still searching the premises for anything incriminating. Members of Counter Terrorism Command, S015 <http://www.met.police.uk/careers/ctc/what_is_so15.html> , were present at the eviction making use of spotter cards to try and identify possible suspects from March 26th. 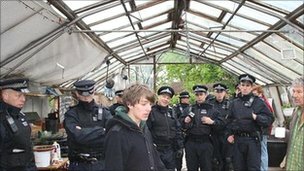 Meanwhile, forty police were sent to raid Transition Heathrow, a community market garden, set up in opposition to the building of a Third Runway. The occupants were dragged out of their beds at 7.15 in the morning and searched. After one and a half hours, all the police could find <http://www.transitionheathrow.com/2011/04/grow-heathrow-raided-by-40-rio... in the deadly garden was some vegetables, chickens and bees. The fifth squat to be raided was Offmarket, an old bookshop in Hackney being used as a social centre, where one arrest was made in connection with the TUC demonstration, according to the Met <http://www.met.police.uk/pressbureau/Bur28/page03.htm> . 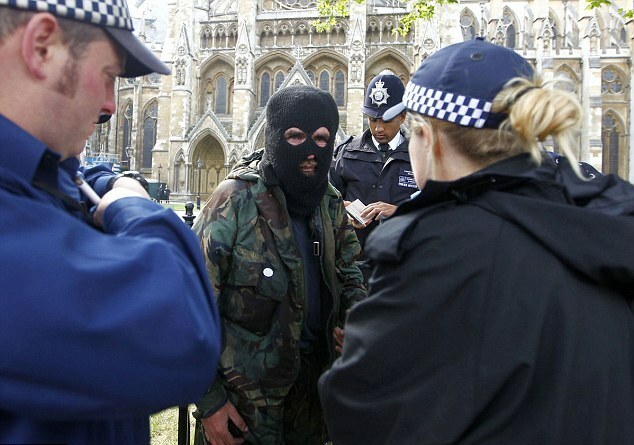 Some of those arrested have now been released with bail conditions specifying they should not enter central London until Monday, by which time the Royal Wedding and May Day will have been and gone – two birds with one stone, in the eyes of the authorities. The doublespeak used to justify this abuse of police power is astonishing. Despite their earlier warnings in the press and the obviously contrived nature of the arrests and the warrants used, the Met have the audacity to insist <http://www.met.police.uk/pressbureau/Bur28/page03.htm> that the arrests “are not specifically related to the Royal Wedding but have been brought forward ahead of the event”. As I write this, it appears that a second wave of arrests are underway. The eccentric ex-professor Chris Knight has apparently been hauled in <http://ianbone.wordpress.com/2011/04/28/patrick-macroidan-arrested-by-ro... for breach of the peace along with actor Patrick Macroidan who has been arrested on a charge of conspiracy to cause a breach of the peace – with his executioner’s outfit as main evidence. Charlie Vietch, of the Love Police <http://www.youtube.com/user/cveitch> , who can often be seen at demos cracking jokes through a megaphone, has also been arrested. Presumably others have been scooped up too. The political intent is quite clear. At vast expense to the taxpayer, the police have gone out of their way to ensure that tomorrow’s event delivers exactly what it says on the tin: a huge display of ostentation and state power used to cement people's loyalty to the establishment at a time when your average citizen - sorry - subject, is getting screwed. Assistant Commissioner Lynne Owens nailed the Met’s her colours to the mast <http://www.express.co.uk/posts/view/243203/We-can-protect-William-and-Ka... when she told The Express “We want to make this a celebration of joy and pageantry.” If this means silencing the voices of millions of republicans in this country through aggressive acts of intimidation and abuses of human rights, then so be it. 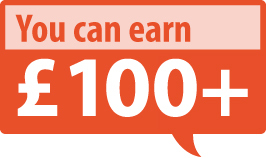 Guy Aitchison is co-editor of openDemocracy's UK blog, OurKingdom, and a PhD student in politics at UCL. If anyone was in any doubt that we have a highly politicised, out-of-control police force in Britain with scant regard for basic rights, the build up to the royal wedding provided a much-needed corrective. When it comes to our divinely ordained rulers, even the most minimal pretence at neutrality and respect for due process was dropped and the attitudes and motivations of law enforcement laid bare. There was to be a strict zero tolerance policy towards republican thought crimes. Faced with Friday’s pompous medieval extravaganza, we should have either waved our plastic Union Jack flags like the serfs that we are, or else kept quiet and hoped we weren’t on the Met’s “political” hit-list. 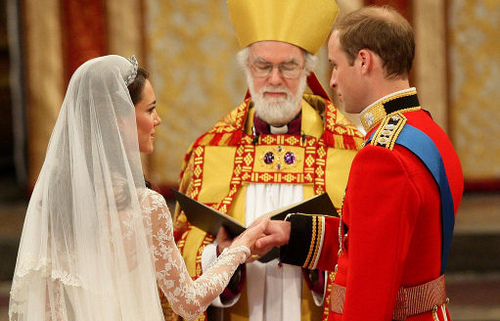 For weeks, senior officers boasted that anyone planning to voice dissent at the marriage of Prince William and Kate Middleton would be treated as a criminal with sinister warnings that officers had been ordered to “shoot-to-kill” and the Queen’s Guard empowered to impale any threat with their bayonets. With the memories of Jean Charles de Menezes and Iain Tomlinson still fresh, such warnings sound more than a little ominous. The press gleefully collaborated with the Met in their intimidation, uncritically reporting plans for “pre-emptive” strikes against anyone suspected of being inclined to violate the “sterile areas” of 1.6 kilometres around the Palace of Westminster created under the totalitarian Serious Organised Crime and Police Act introduced by the Labour government. In all the frenzied reporting, the words “anarchists” and “criminals” were used interchangeably to denote anyone opposed to a hereditary head of state. Ahead of the happy couple’s big day, political opinions alone were enough to get you locked up. As one “police source” chillingly put it “the same faces often reappear at different protests and we will try and take a pre-emptive strike against them." Now we have seen this sinister strategy put into effect. Before the wedding, several squats were raided in Brighton with arrests made and in the early hours of the morning five squats across London were targeted. Two of the London squats were private residences in Camberwell which want to remain anonymous, whilst the third, Ratstar, also in Camberwell, was being used as a social centre and artistic space in agreement with the landlord. The raid against Ratstar was carried out under a Section 18 warrant to search for stolen goods, yet the controversial paramilitary Territorial Support Group officers at the scene appear to have found no evidence of theft since the 14 arrests made were for the absurd crime of “electricity abstraction”. Twelve hours later, dozens of police were still searching the premises for anything incriminating. Members of Counter Terrorism Command, S015, were present at the eviction making use of spotter cards to try and identify possible suspects from the protests at the huge London Trades Union Congress (TUC) demonstration against government cuts in public expenditure of March 26. Meanwhile, 40 police were sent to raid Transition Heathrow, a community market garden, set up in opposition to the much opposed building of a third runway at London's main airport. The occupants were dragged out of their beds at 7.15 in the morning and searched. After one and a half hours, all the police could find in the deadly garden was some vegetables, chickens and bees. The fifth squat to be raided was Offmarket, an old bookshop in Hackney being used as a social centre, where one arrest was made in connection with the TUC demonstration, according to the Met. 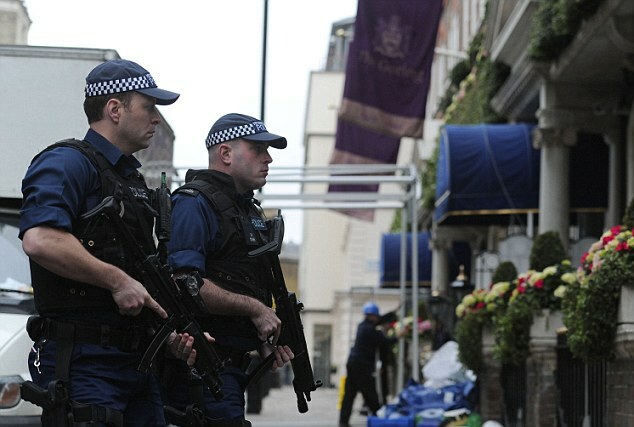 Some of those arrested have now been released with bail conditions specifying they should not enter central London until Monday, by which time the Royal Wedding and May Day public holiday will have been and gone – two birds with one stone, in the eyes of the authorities. As I wrote this, it appeared that a second wave of arrests were underway. The eccentric ex-professor Chris Knight was apparently hauled in for breach of the peace along with actor Patrick Macroidan who was arrested on a charge of conspiracy to cause a breach of the peace – with his mock executioner’s outfit as main evidence. 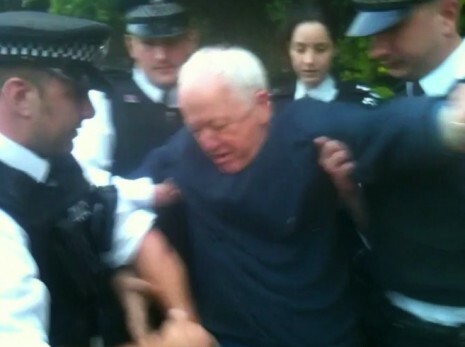 Charlie Vietch, of the Love Police, who can often be seen at demos cracking jokes through a megaphone, was also arrested. Presumably others were scooped up too. The political intent was quite clear. At vast expense to the taxpayer, the police went out of their way to ensure that the royal wedding delivered exactly what it said on the tin: a huge display of ostentation and state power used to cement people's loyalty to the establishment at a time when your average citizen - sorry - subject, was getting screwed. Assistant Commissioner Lynne Owens nailed the Met’s colours to the mast when she told The Express: “We want to make this a celebration of joy and pageantry.” If this means silencing the voices of millions of republicans in this country through aggressive acts of intimidation and abuses of human rights, then so be it. The irony of it all is that no major protests were planned. The only one I knew of was a relatively small Facebook event, absurdly dubbed the “Black Bloc” page by Channel 4 News. Most activists rather sensibly took the view that they prefered not to run the risk of getting shot, bayoneted or set upon by a royalist crowd and concentrated their political energies where they could actually have an impact. * Guy Aitchison is co-editor of openDemocracy's UK blog, OurKingdom, and a PhD student in politics at University College London. 1 Response to "'Police human rights abuses' heralded UK royal wedding"